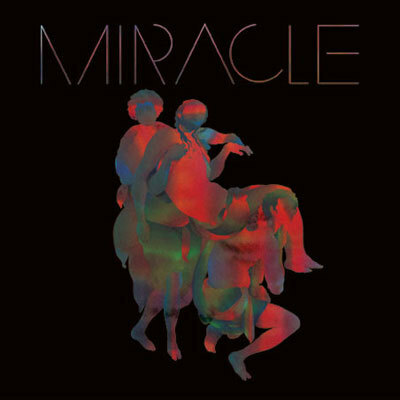 Miracle is the unique Techno-Pop side-project of two prolific and broad-minded artists, London's Daniel O'Sullivan (Sunn O))), Guapo, Mothlite, Æthenor) and NYC's Steve Moore (Zombi, Earth, Titan, Gianni Rossi). During a Guapo/Zombi US tour in 2006 and under the influence of copious psychotropics, the duo instinctively decreed to work together and Miracle is the result. Their first offering 'Fluid Window' features six exquisite future pop songs pitting Moore's lauded synth knowledge against O'Sullivan's confident vocals. Opener 'The Visitor' features O'Sullivan crooning (presumably by the slit light of venetian blinds) in the manner of David Sylvian to an epic backing which wouldn't sound out of place in a stadium headlined by Depeche Mode. The formula is twisted with more modern beat programming on 'Sunshine Hall', perhaps benefitting from the expertise of engineer Dave Cooley, who's previously worked with the likes of J Dilla and Flying Lotus, and taken to widescreen pastroal Techno climes on 'Wild Nights'. Flipside, they can't shake the '70s prog influence on 'Sunstar' but do so with considered, contemporary panache, following into the augmented arpeggiations of the epic closer, 'Breathe'. Overall, this is a dazzling effort, and quite easily the best thing Steve Moore has put his name to in recent memory.